In every form of entertainment, there is someone that lingers behind the scenes and makes the end result better and complete. 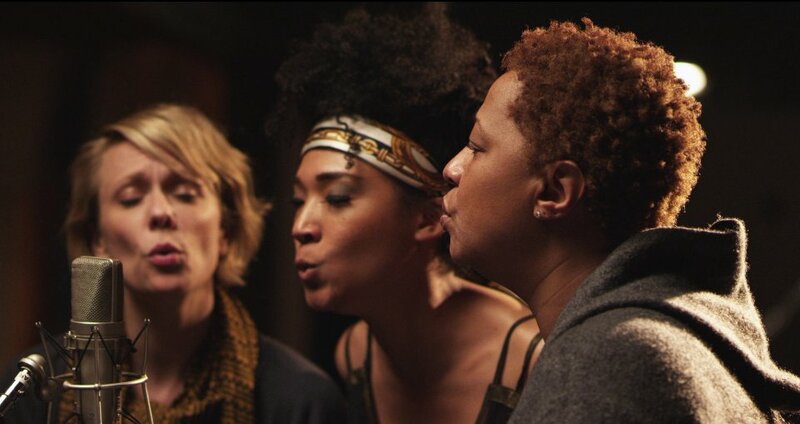 In the case of 20 Feet From Stardom, those people are the backup singers. Nearly all of them are African-American women past their on-stage prime, but still have voices as powerful as they were decades before. This recent Oscar winner for best documentary feature is a fun and light-hearted watch, yet it is undeserving of that top prize (better docs like Blackfish and Stories We Tell were robbed of nominations altogether). It’s an interesting look at real people who might choose to stay behind the scenes and those that simply can’t break out on their own. The main takeaway is that there are differing ideas of what success is and what defines stardom, and that sometimes it just can’t be reached. Director Morgan Neville’s film is a hard one to summarize. Nothing really happens, and the story goes off in one direction, then back to another. 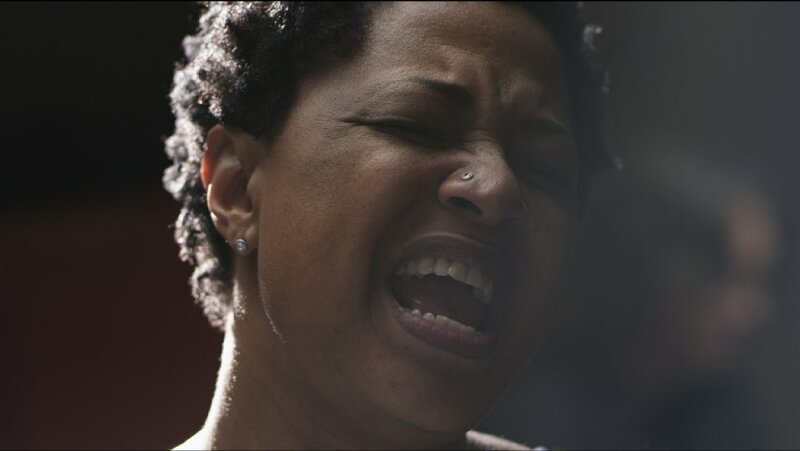 But it does bring great insight into why these women sing and how they do it. Many of them had fathers that preached, and they honed their skill from a very early age at mostly Baptist services. It’s an excellent glance at true soul singing. And during dark times, especially for these African-American women, music brought a particular kind of lightness to their lives. It’s amazing to see the strong sense of identity that they exude. Although it’s a documentary, the narrative of the film is a bit off. There’s little to no continuity and the disjointed interviews mixed with old footage makes it a little hard to focus. Yet, it has some bright spots. My favorite part, which is just a minor but absolutely crucial detail, shows up when the interviewee is on screen. In the corner we see a card with their name on it, and underneath their name is that of the performer they backed up. 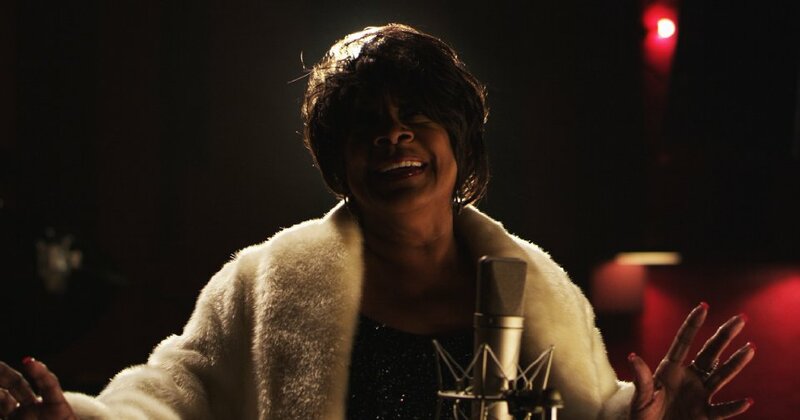 These women, with all of the vocal talent in the world, have identities that are tied to the person in the spotlight singing 20 feet away from them. The title itself implies that. All of them were so close to stardom, however they classified it, but for one reason or another it just didn’t work out. 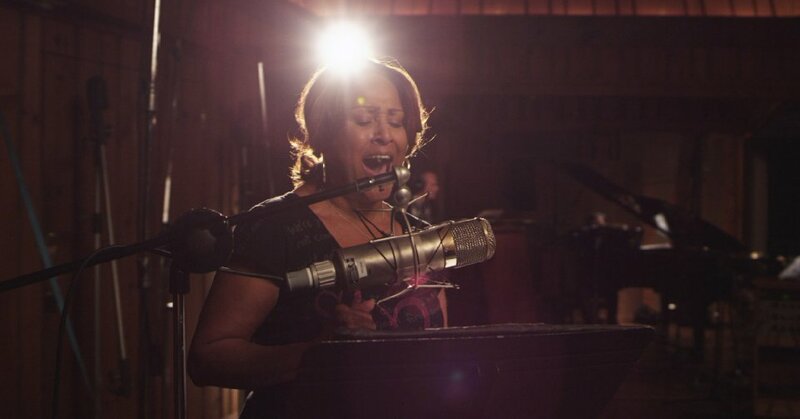 Darlene Love, one of the featured singers in the film, tells a story that is the epitome of the documentary’s main point. She says that one day she was in a woman’s house working as a cleaning lady. The woman let Darlene listen to the radio while doing her work. Then like a sign from above, a record by Darlene herself came on the radio. She stopped cleaning and told herself, “This isn’t what I’m supposed to be doing.” Countless people are born with unnatural talent and never reach their full potential. Then there are those that have some degree of skill, but have to work tirelessly just to try and make it. 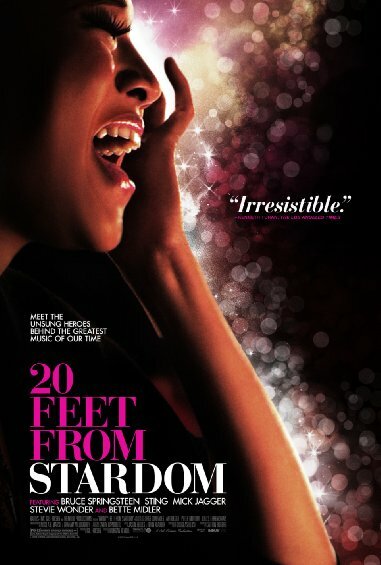 20 Feet From Stardom seems to show women that fall into the first category, although it’s not their fault. Life happens, things don’t always go as planned, and you can’t dwell in the past. One woman says, “There’s no guarantees in entertainment.” Apparently she was right. This is an easy movie to watch, and one that doesn’t demand intense attention for the entire duration. It lends appreciation for the stunning female vocals on classic tracks such as “Gimme Shelter” by The Rolling Stones. And as it ends, the main women we follow throughout come together to sing “Lean On Me” in a recording studio. It’s appropriate. After all, these women leaned on the stars, and the stars back on them. The story tries to stress the importance of background singers, but it never solidly proves its point. In the end, we get a face to put on the women we have probably sung along with, and they finally get their due, inching their way closer to that elusive stardom they so earnestly chase.